Hi! My name is Dean Jones and I specialize in Reverse Mortgages. I have assisted over 1,200 senior homeowners with this great program since 1993. When you allow me to help you with this loan I will do my very best to complete it in a smooth and timely manner. I will use my 20+ years of experience, my knowledge of reverse mortgages, my desire to provide great service, and my working relationship with the top lending sources in the nation to find the best Reverse Mortgage program for you. 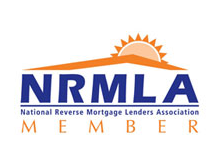 I have been very involved with our trade association, the National Reverse Mortgage Lenders Association (NRMLA). Since 2000 I have served as a delegate member for the association and as one of their Board of Director’s from 2005 through 2009. In 2012 I earned NRMLA’s Certified Reverse Mortgage Professional (CRMP) designation. Less than 100 individuals in our industry have received this achievement. I have a strong belief in Reverse Mortgage education. I attend a variety of NRMLA conferences each year and associate with other top reverse mortgage professionals to keep informed and up to date on the latest news and products that the industry has to offer. It is of utmost importance that you become a properly informed consumer and I would like to be of assistance in that regard. Please take the time to review this website which will help answer a lot of your questions. I will be happy to provide you a personalized Free Reverse Mortgage Information Packet that will include the costs, rate options, and financial proceeds that are associated with this loan. My working for an independent broker, Senior Funding Associates, allows me to offer a variety of product options from some of the top lending sources in the industry. Call me today to find out about what’s happening in our industry for 2014 such as zero servicing fees, cost variations on the upfront mortgage insurance premium, new lower adjustable cap rates on the monthly and annual LIBOR, and the ability to buy a home with the Reverse Mortgage for Purchase Program. I truly appreciate you visiting my website and looking into the reverse mortgage as it is a tremendous loan program for many older American homeowners. When you consider the opportunity of taking out a reverse mortgage, it is not only important in the type of program you choose, but of equal value, the company and individuals that will be working for you in this transaction. I am sure we would all agree that we want someone who has your best interests at heart, someone that will guide you and be there every step of the way before, during, and after the transaction is complete. You’ll want them to be experienced and knowledgeable in the reverse mortgage field. You would appreciate a team of individuals that want to provide the best service possible to you. Well, here we are with Dean Jones Reverse Mortgages and Senior Funding Associates. Let me be your resource in assisting you in finding out if the reverse mortgage is the right program for you. I look forward to being of service! Your Home, Your Retirement, Your Life – Enjoy it More with a Reverse Mortgage!